Two years and two thousand miles separate the dramatic mid Atlantic wipe out suffered by NE yachtsman, Ross Hobson, and the sad but exciting news that his boat, the catamaran “Mollymawk”, has found refuge on a beach in the Bahamas. It was on the 8th November 2006 that Ross Hobson’s leading position in his class during the Route du Rhum yacht race came to a wet and dangerous end. 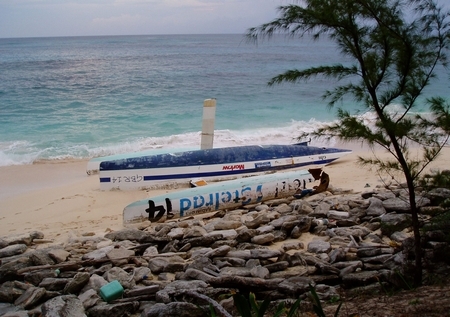 Mollymawk (renamed Ideal Stelrad for the race after the major sponsor) capsized in horrendous weather, 2000 miles from land in the middle of the Atlantic Ocean. Ross endured eight hours alone in the darkness in the upturned hull, unaware of the major search and rescue events taking place to save him. At 2am on 9th November 2006 the freighter Carmen homed in on Mollymawk’s EPIRB and after a skilful demonstration of ship handling took Ross onboard and delivered him safely back home. SAN DIEGO – General Dynamics NASSCO, a wholly owned subsidiary of General Dynamics (NYSE: GD), today delivered USNS Amelia Earhart (T-AKE 6) to the U.S. Navy. The ship is named in honor of the record-setting aviator. REDONDO BEACH, Calif., Oct. 30, 2008 — Northrop Grumman Corporation (NYSE:NOC) has completed manufacturing and integrating a spacecraft engine that runs on the “green” or non-toxic propellants of liquid oxygen and liquid methane for possible use on NASA human exploration missions to the Moon, Mars and beyond. 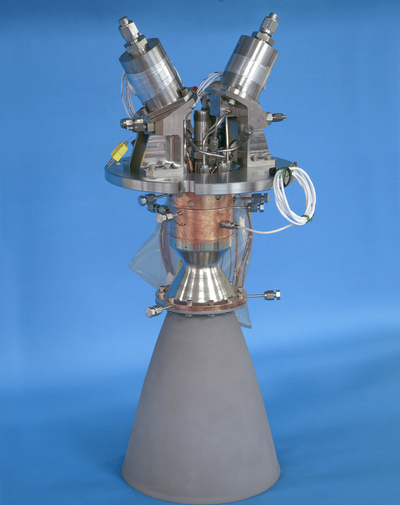 The company’s TR408 second-generation, oxygen-methane 100 pound-force reaction control engine (RCE) was designed for the Propulsion and Cryogenics Advanced Development Project within NASA’s Exploration Technology Development Program, and features robust operation over widely variable propellant conditions. Propulsion systems using engines like the TR408 may have the potential to use green propellants that are produced from lunar or Martian soil. 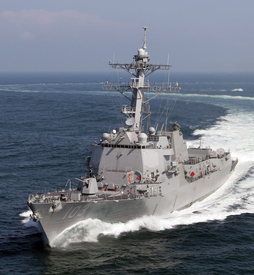 Northrop Grumman delivered its 25th Aegis guided missile destroyer to the U.S. Navy. Truxtun (DDG 103), built by the company’s Shipbuilding sector, recently completed U.S. Navy acceptance trials in the Gulf of Mexico – the final milestone prior to ship delivery. PASCAGOULA, Miss., Oct. 29, 2008 — Northrop Grumman Corporation (NYSE:NOC) delivered its 25th Aegis guided missile destroyer to the U.S. Navy here last week. Truxtun (DDG 103), built by the company’s Shipbuilding sector, recently completed U.S. Navy acceptance trials in the Gulf of Mexico — the final milestone prior to ship delivery. U.S Navy Cmdr. Timothy Weber, a native of Decatur, Georgia, and 1990 graduate of Vanderbilt University, is the ship’s first commanding officer and will lead a crew of 276 officers and sailors. 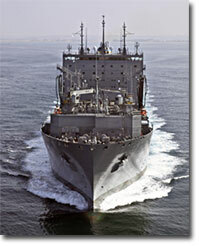 The 510-foot, 9,200-ton Truxtun has an overall beam of 66.5 feet and a navigational draft of 31 feet. Four gas-turbine propulsion plants will power the ship to speeds above 30 knots. Orlando, FL, October 30th, 2008 — Lockheed Martin [NYSE: LMT] marked the delivery of the 500th Arrowhead system to the U.S. Army at a celebration held at its Ocala and Orlando, FL, facilities. 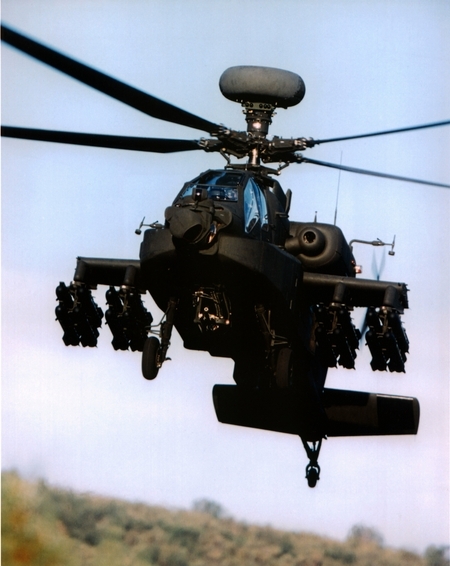 Arrowhead is the U.S. Army’s Modernized Target Acquisition and Designation Sight/Pilot Night Vision Sensor (M-TADS/PNVS) for the AH-64 Apache attack helicopter. Known as the “eyes of the Apache,” the Arrowhead system provides Apache pilots the most advanced long-range, electro-optical precision engagement and pilotage capabilities to ensure flight safety in day, night and adverse-weather missions. ST. LOUIS, Oct. 30, 2008 — The Boeing Company [NYSE: BA] has been awarded a $238 million System Development and Demonstration (SDD) contract by the U.S. Air Force to modernize the radar system on F-15E fighter aircraft. The RMP will incorporate an Active Electronically Scanned Array (AESA) antenna with more-supportable radar electronics. The AESA replaces the APG-70 radar currently integrated on the F-15E, improving radar reliability, maintainability and performance while reducing support costs. 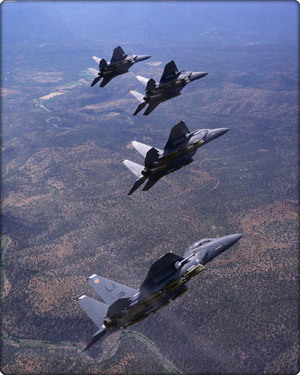 When integrated into the F-15E weapons system, the AESA radar will improve detection and tracking of enemy targets, including small targets. Space shuttle Endeavour is scheduled to launch Nov. 14 at 7:55 p.m. EST after NASA officials conducted an exhaustive review of the shuttle, its payload and the International Space Station. The officials met Thursday at Kennedy Space Center during the Flight Readiness Review, a standard session that clears the way for the launch of a shuttle mission. “We’re in very good shape to go fly,” said John Shannon, manager of the Space Shuttle Program. More than 400 competitors took part in the 2008 nib Coolangatta Gold on the Gold Coast. The highlights from the 2008 nib Coolangatta Gold will be on the Seven Network this Sunday 2 November from 12noon – 2.00pm. Catch the highlights of Australia’s most iconic endurance Ironman and Ironwoman race, including in depth interviews with some of the stars from the race. 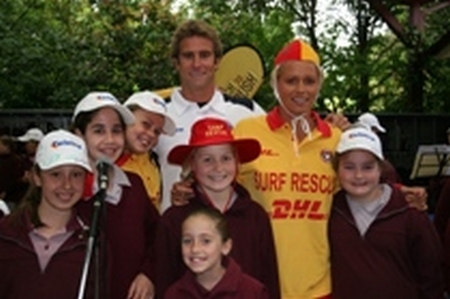 Zane Holmes and Courtney Hancock help launch the 2008 Telstra Beach to Bush program. Dual World Ironman champion Zane Holmes has urged beachgoers to observe important safety messages that could save lives this summer. Holmes was speaking today at the launch in Bowral, NSW, of the Telstra Beach To Bush surf safety program – the largest and most innovative surf education program in Australia which reaches more than 35,000 primary school children in more than 300 regional primary schools. 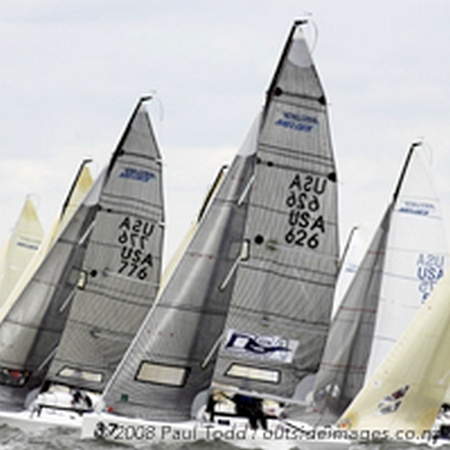 The Race Committee stepped up the pace today at the 2008 Melges 24 North American Championship, running four excellent races (race four to seven in the 12 race series) in winds ranging from 10 – 15 knots. Terry Hutchinson on USA 751 Quantum Racing made his intentions clear for this regatta by moving into a seven point overall lead. Gabrio Zandona on ITA 777 Joe Fly had a mixed day on the water but won the first and last races to sit in second place tonight. Chris Larson on USA 655 West Marine Rigging / New England Ropes put in a steady performance to claim the final podium place, eight points behind Zandona.